“Soldering tiny SMD components can be quite challenging, but the process can also be automated. 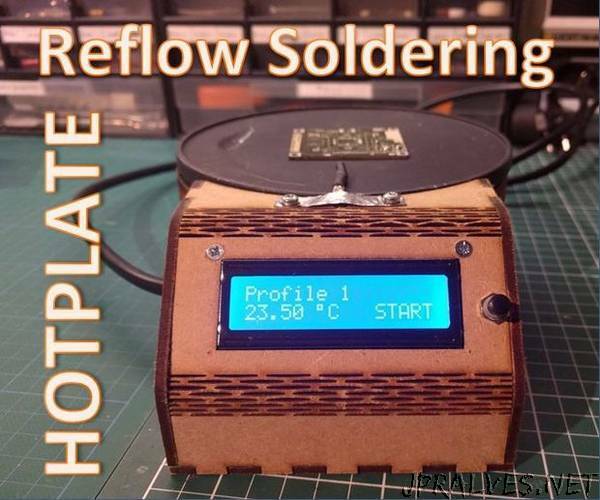 This can be done by applying soldering paste and baking it, either in a (reflow) oven or on a hot plate (like a cooking plate in your kitchen). Around the web, I’ve seen many DIY reflow ovens; in my opinion they have one big downside: they take up a lot of space. So I decided to build a hotplate instead.